Big news for a pair of Broadway favorites! Come From Away standout Alex Finke and recent Moulin Rouge player Joe Carroll were married on October 21, 2018. The stars were engaged in December 2017. Finke can currently be seen as Janice & others in the hit Broadway musical Come From Away. Following an acclaimed turn as Hope Harcourt in the national touring production of Anything Goes, she made her off-Broadway debut as Johanna in the acclaimed "pie-shop" staging of Sweeney Todd. In addition to his recent turn in the Broadway-bound musical Moulin Rouge, Carroll has appeared on Broadway in Bandstand, Romeo and Juliet, Cinderella and Once. 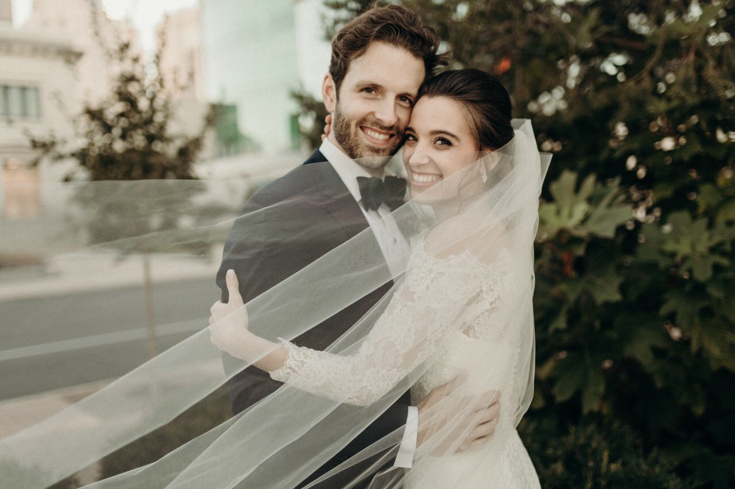 Many congrats to the talented duo on the nuptials!